Poverty, low education levels, crime rates, teen pregnancy, and a host of health issues are all interrelated. They tend to reinforce and compound each other. Yet, as a society, we don’t treat them as if they’re related. The public sector consists of a lot of large silos – among them are health, education, social services, workforce development, law enforcement, housing, transportation – that don’t often communicate well, if at all, with each other. There are even silos within the silos that don’t communicate well with each other. Meanwhile, the not-for-profit sector is incredibly fragmented, consisting of hundreds of thousands of mostly small organizations that do good work, but that are typically focused on one problem or one target population or one often tiny geographic area. They have great difficulty aggregating capital or talent to replicate what works and achieve scale. Neither sector is structured to deal effectively with complex social problems. Perhaps this is a major reason why so many social indicators have worsened over the last forty years, despite massive increases in public spending and a huge proliferation of not-for-profit organizations. It is unrealistic to think we can remake either sector. And experience indicates that if add another layer of bureaucracy in an attempt to better coordinate the activities of various silos, we will most likely accomplish nothing significant other than to further increase costs. A lot of what exists is good. But we can do a much better job of aligning and leveraging the resources and capabilities of various entities in focused ways to improve overall impact and make much more effective use of the total resources. We can do this by creating networks that bring together organizations with common interests and complementary resources to work with each other to accomplish a goal with clear, measurable objectives. There must be a strong organization at the center of the network; the roles of each participant must be clearly defined; and the participants must trust each other. If all of these ingredients are present, a lot can be accomplished. Here is one example from our own experience. Recently, our organization has begun operating Nurse-Family Partnership in Indianapolis. This is a highly effective nurse-led home visiting program for first-time parents in low income households that begins during pregnancy and continues until the child turns two. Implementation in other states has proven to have immense long term impact. In our community, Goodwill is the implementing organization. Funding comes from a federal grant and is administered through a contract with the Indiana State Department of Health. Referrals come from an array of sources including hospital systems, other health-related organizations, schools and social services organizations. A community advisory board includes nursing experts in prenatal and early childhood, physicians, hospitals, and social services representatives. An independent continuous quality improvement system established under the direction of the State Department of Health measures and tracks performance. In addition, Goodwill is connecting parents who are enrolled in the program with education and employment opportunities. Goodwill also provides assistance in solving problems related to housing, transportation, and child care. Our approach enables families to access education, employment, health-related services, training in good parenting skills, and other services through a long term relationship that we believe can substantially improve the lives of the Nurse-Family Partnership parents and their children and help break a cycle of generational poverty. It is a holistic, whole family approach that leverages existing resources to help accomplish something that otherwise probably would not be accomplished as well, if at all. This is one example in one community. But it illustrates an approach that could be taken by many organizations in many communities to help improve overall impact and the productivity and effectiveness of both the public and the not-for-profit sectors. 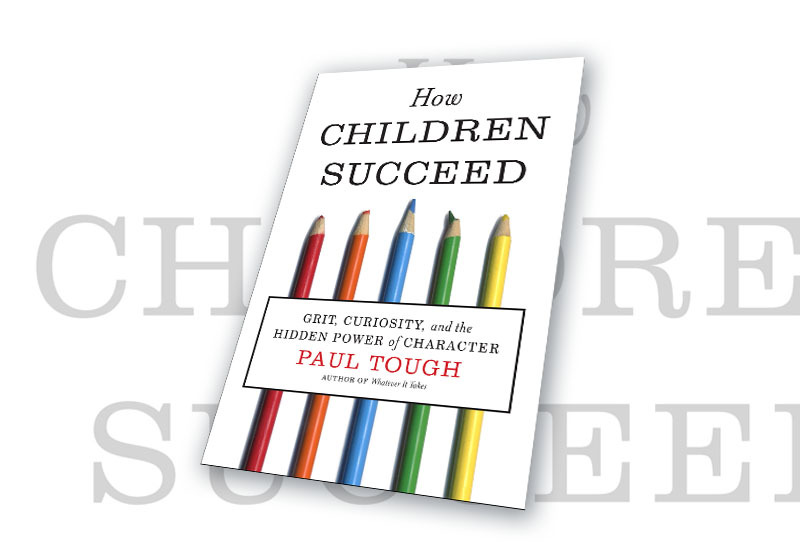 In his new book, How Children Succeed: Grit, Curiosity, and the Hidden Power of Character (Houghton Mifflin Harcourt, 2012), Paul Tough presents research on the effects of poverty on a child’s development. He argues that the chaotic environments that many low-income kids grow up in and the often stressful relationships they have with the adults around them make a huge difference in how children’s brains develop and lead to later problems in school, health, and behavior. As I have highlighted in previous posts of this blog, there’s a lot of data showing a deterioration in a number of major social indicators over the last forty years, despite massive increases in public spending and a huge proliferation of not-for-profit organizations. Overall, the dominant approaches that have been taken during the past several decades have not reduced a lot of our social problems. One could even argue that some of those approaches have actually made matters worse. NFP is a nurse-led home visitation program for first-time moms in low income households who voluntarily enroll no later than the 28th week of pregnancy. A registered nurse makes frequent home visits to help improve pregnancy outcomes, help parents learn how to provide responsible and competent care for their children, and help improve the economic self-sufficiency of the family. Regular visits by the nurse continue until the children are two years old. Goodwill worked for three years to bring NFP to Indiana, and we have begun implementing the program in Indianapolis. At capacity, our registered nurses will be working with 600 moms at a time. The Rand Corporation calculated that every dollar invested in NFP results in a $5.70 return to society. Some people don’t want to invest public dollars in programs such as these because, they emphasize, parents are responsible for giving their child a strong, healthy start. I agree that it’s the parent’s responsibility. However, when a parent is unable–for whatever reason–to exercise that responsibility well, the rest of us have a choice. We can invest up front to help prevent problems and develop human potential – or we can do as we’re now doing and continue to pay much more downstream for public assistance, remedial education, rehabilitation, incarceration, and in all the insidious ways we all pay when we have a poorly educated, under-skilled workforce. It’s also important to remember that no child has any choice about the circumstances into which he or she is born. If we really want more bang for our buck, we will begin shifting support from programs with marginal return to those that can demonstrate high, long-term benefits. Doing so will upset some people, but will result in a wiser, more effective use of the dollars that are available. The potential long-term benefits are enormous. On April 22, 2015, Jim retired as President and CEO of Goodwill Industries of Central Indiana, Inc. after 41 years in that position. He continues to work part-time as an advisor to the Goodwill Industries Foundation of Central Indiana, Inc. During his career with the Indianapolis-based Goodwill, the organization grew from 558 to more than 3,200 employees and from $3 million to $130 million in annual revenue. Upon Jim’s retirement, the organization consisted of 57 retail stores, e-commerce operations employing over 100 people, 10 commercial services sites employing over 300 people, and 10 charter high schools with a total of more than 3,200 students. Two-thirds of Goodwill’s employees have limited options because of a disability, felony record, low education level, or other significant barrier. On April 22, 2015, Jim retired as President and CEO of Goodwill Industries of Central Indiana, Inc. after 41 years in that position. He continues to work part-time as an advisor to the Goodwill Industries Foundation of Central Indiana, Inc.
During his career with the Indianapolis-based Goodwill, the organization grew from 558 to more than 3,200 employees and from $3 million to $130 million in annual revenue. Upon Jim’s retirement, the organization consisted of 57 retail stores, e-commerce operations employing over 100 people, 10 commercial services sites employing over 300 people, and 10 charter high schools with a total of more than 3,200 students. Two-thirds of Goodwill’s employees have limited options because of a disability, felony record, low education level, or other significant barrier.